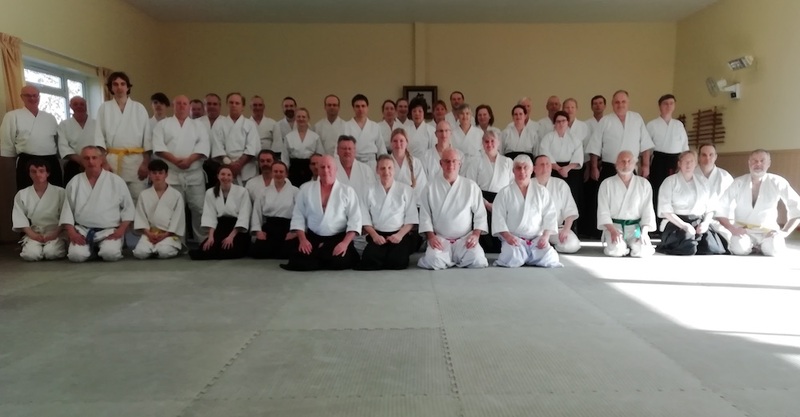 Here is the February 2019 Aikido Update for the Ki Federation. Congratulations to the two members who passed their 1st Dan grading on the New Year seminar - P. Crook and J. Rudd. Congratulations also to all the students who passed their Kyu gradings on the Seminar. We hope that everyone enjoyed their taster of Haggis on the Saturday night. We send our best wishes to Julie Mills who will be opening her new club in Chester this month. The Advanced Sword Course on the 9th March is now fully booked. However, spaces are still available on the Basic Sword Course and the Advanced Sword Course on 18th May. Sadly, we have to let you know that Shaun Dunbar from the Truro club passed away at the end of January. He was a 4th Dan, and the Assistant Teacher in Truro for a number of years. He joined the Ki Federation in 1996. Our sympathies go to his family and the members of the Truro club.